How much is Andrew Weil Worth? 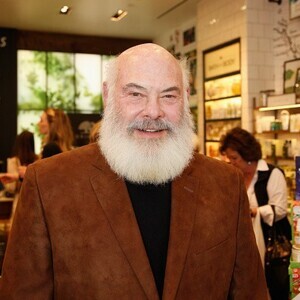 Andrew Weil net worth: Andrew Weil is an American physician, spokesperson, and author who has a net worth of $100 million. Andrew Weil was born in Philadelphia, Pennsylvania in June 1942. He has been described as a guru in the areas of holistic health and integrative medicine. Dr. Weil graduated from Harvard and spent a decade with the Harvard Botanical Museum. He frequently contributed to High Times magazine and wrote several books. Weil is an academician at the University of Arizona College of Medicine and he founded the Arizona Center for Integrative Medicine in 1994. He has appeared on TV series such as Oprah, the Today show, and Larry King Live. His Dr. Andrew Weil brand has sold vitamins and other medical products. He has authored several books including The Natural Mind: An Investigation of Drugs and the Higher Consciousness, Marriage of Sun and Moon: Dispatches from the Frontiers of Consciousness, Health and Healing, Spontaneous Healing, Eight Weeks to Optimum Health, Healthy Aging, and more.